Environmentally-Friendly Plumbing Fixtures | Weilhammer Plumbing Co. Inc.
For those of you who are eco-conscious home owners, there are several things you can do to make your home more energy efficient. One area of your home that can benefit from eco-friendly changes is your water consumption. By simply changing out a few plumbing fixtures, you can make your home more water conservative and environmentally-friendly! Continue reading to learn which plumbing fixtures can provide these eco-friendly benefits, and who to call for professional plumbing fixture installation. Taking a shower can be one of the most relaxing and indulgent parts of your day. So when it comes to conserving water in the shower, many people find it to be a challenge since longer showers are tempting, especially after a long, hard day. Fortunately, there are high efficiency shower heads on the market that are available at any local home improvement or department store. Prices vary depending on brand and quality, but you can find a quality water-efficient shower head for as low as $14.99! Just like shower heads, you can find faucets that are also efficient. Switch out your kitchen, bathroom, bar, and even outdoor faucets with water-efficient models. These faucets use a maximum of 1.5 gallons of water per minute, so they use 30% less water than standard faucets without sacrificing performance or function. Look for one at your local home improvement or department store, or online through a trusted vendor. Prices range according to brand, retailer, and quality; but you can find efficient models for as low as $5, and as high as a few hundred dollars. 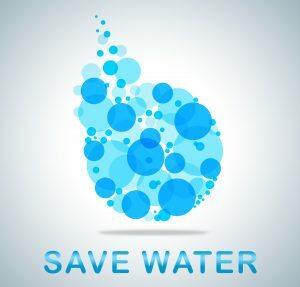 One area commonly overlooked in terms of water conservation is the toilet. The old-fashioned rule of thumb, “if it’s brown, flush it down; if it’s yellow it’s mellow”, works well for some, but there is more you can do to conserve the amount of water used from the toilet on a daily basis. Installing a high-efficiency model is a great option, and will still fit the budget. You can choose between a low-flush toilet or a dual-flush toilet, both of which are high on the efficiency level. Low-flush toilets use around 1.5 gallons of water per flush, while dual-action toilets give you the option of flushing solids or liquids. Call Weilhammer Plumbing Company at 317-784-1870 when you need a licensed Indianapolis plumber for toilet service, repair, and replacement. 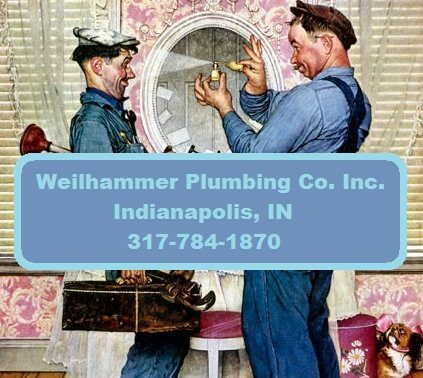 Owner and master plumber, Mark Weilhammer, has more than 60 years of experience in the plumbing industry, so you can feel confident that you are getting skilled and knowledgeable plumbing service you can trust. We offer residential and commercial plumbing repair and service at the most competitive prices in town, so call today to request a free estimate! This entry was posted in Toilet Repair and tagged high efficiency toilet, Indianapolis plumber, plumbing fixture installation, Toilet Replacement Indianapolis, Water Efficient Faucets, Water Efficient Shower Heads. Bookmark the permalink.